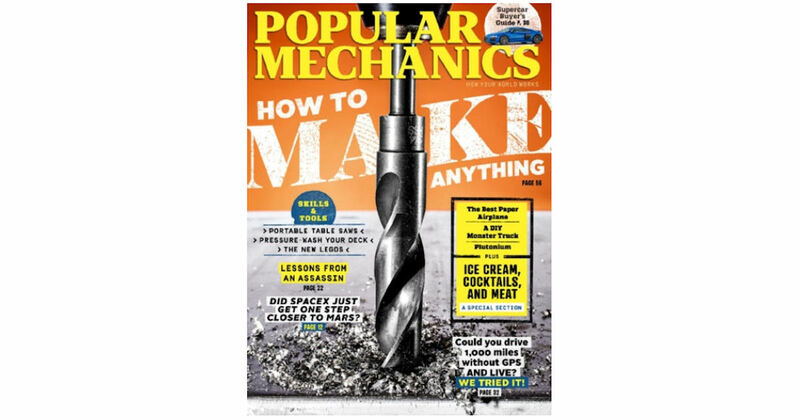 Start a free subscription to Popular Mechanics! Popular Mechanics inspires, instructs and influences readers to help them master the modern world. Whether it's practical DIY home-improvement projects and tips, gadgets, latest science breakthroughs, technological advances, solutions to puzzling car problems and more!